I hate SRGB. It looks artificial and dull, like clay, plastic or CGI, and it's the only thing availaible unless you have a lot of money or are using a plasma TV for most of your multimedia. Thank you so much! I didn't know any of this. Came here wanting to know why my colors where washed out and got out so much more! Thanks for the article Zach. Now that I have some understanding on this subject matter, there are bunch of new questions in my mind. So, let's say I have decided to go with Adobe RGB (and then convert to sRGB as the final step before saving the picture for web), do you think these steps are correct? Step 1. is an obvious thing, but what about 2 &amp; 3? Don't we have to keep everything consistent in Adobe RGB until we save the image for web? What are the effects of failing to do step 2 &amp;3 ? I would really appreciate your help here. Thanks much !! 1. If you are shooting RAW, then it really doesn't matter what color profile you pick on your camera, as it only applies to the JPEG version of the image. The RAW image doesn't have a color space associated with it. 2/3. When opening the RAW image in Photoshop, you are using the Adobe Camera RAW engine to convert the image from RAW into a working color space. 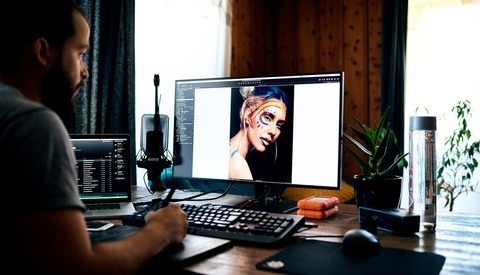 Depending on if the image is destined to be printed or only displayed on the Web, that's what should determine your choice. If you are going to print the image then you should use a color space that includes the colors that can be represented by the printer you are using. ProPhoto RGB has an enormous gamut and is likely a good default choice for the print workflow, as it encompasses a huge portion of colors that the eye can see (This is probably why Kodak invented it in the first place). However, you must only use ProPhoto RGB when there are 16-bits per channel, otherwise it will suffer banding/posterizing artifacts. If your image is destined for a screen, then AdobeRGB should probably be sufficient as the color space. In any case, when opening a RAW image in Photoshop, you should keep it in 16-bits per channel while you are working on the image. If you are printing, save it as a 16-bit TIFF file and make sure the embed the color profile checkbox is checked. If you are going to the Web, use File &gt; "Save for Web..." and select JPEG and make sure the Convert to sRGB checkbox is checked. 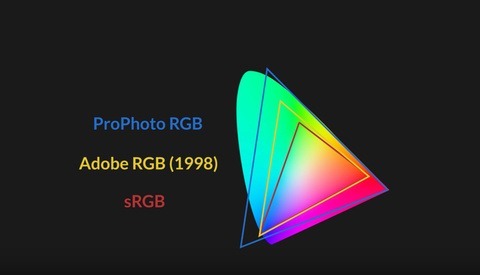 sRGB is the safest bet for output to Web. The browsers currently support color profiles, but there is a bug that if there is no embedded color profile then they won't color manage the image (e.g. 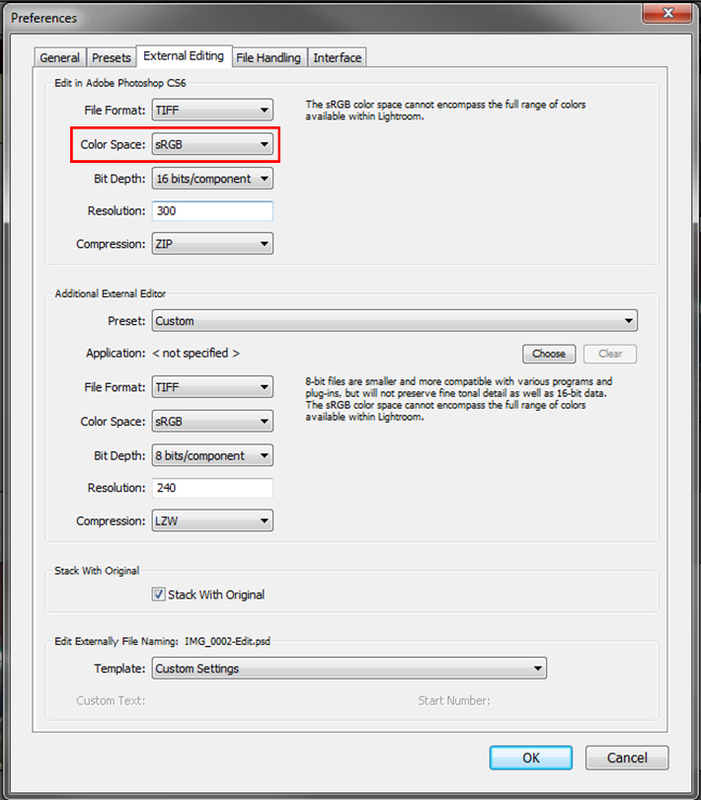 PNG or JPEG files that have a metadata tag for color space specified but no actual embedded color profile). This is what results in those images with apparently muted tones, since In the absence of a color profile, most browsers assume sRGB. 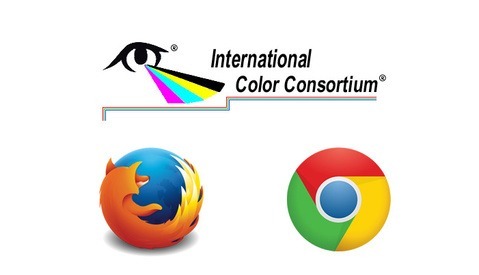 Thus the most reliable method for Web output is to save for sRGB and embed a color profile. On one hand it is said that Pros use SRGB for true colour prints. Yet it is claimed to be the opposite here stating that RGB will render MORE VIBRANT AND ACCURATE COLOUR PRINTS? Witch one is it? Wished you Pros make up your minds. Thank you so much, I have always thought about choosing which color space at what times. Misleading, YES! My Canon 40D captures in Adobe RGB when in RAW mode. Makes no difference what space I choose. Just tested it to be 100% certain. What make and model of screen do you utilize? 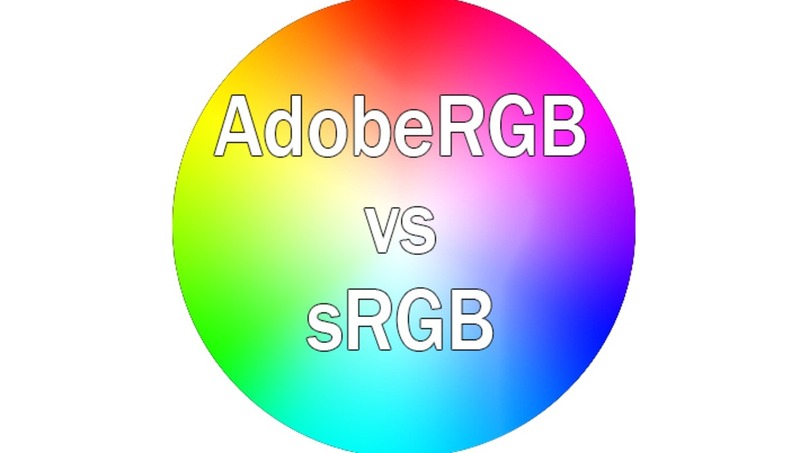 My problem is that Lightroom shows only Adobe RGB, and you need to export to get sRGB, or you can change to sRGB one image at a time (I haven't found a way to do a batch conversion to sRGB). This is a problem because when I adjust my image I look at the RGB values and for my portraits I usually aim for an R value between 220 and 230. 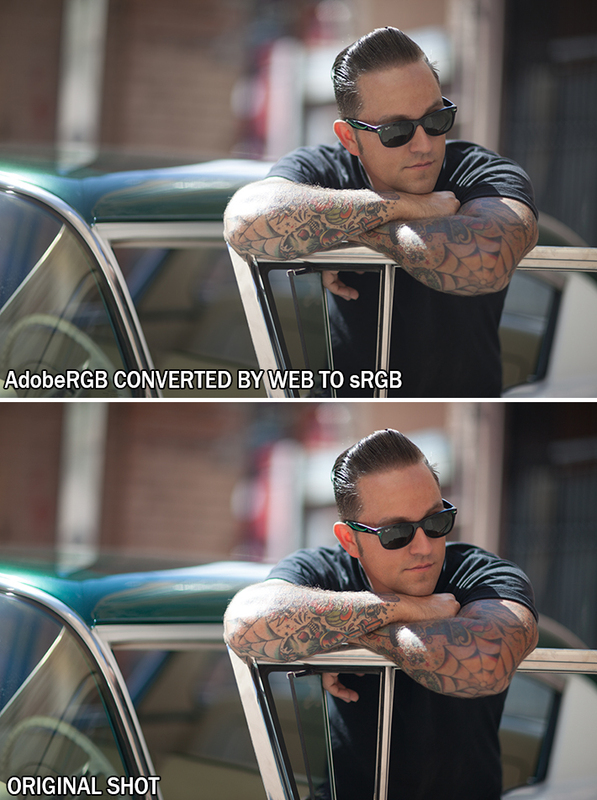 The problem is that a value of 220/230 in Adobe RGB, once converted, is more like 240+ in sRGB. Therefore, I can't really do any accurate adjustments since I won't know the value of my reds until I look at the exported file. So if I want to use Lightroom, then I need to convert each file into sRGB in the develop module in the soft proofing mode and then I can make my adjustments and get the R values I'm looking for. I hope you're following my train of thought here. If I can't see what I'm editing, how is that an advantage? 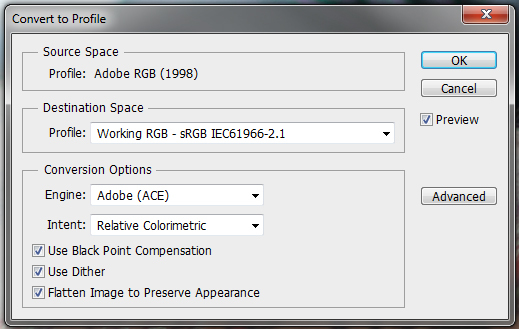 In the case of AdobeRGB or ProPhotoRGB the color space is out of gamut for my screen. Isn't that like editing in the blind? Hi Zac, Excellent and easy to understand article. Thank you so much. I created an account with FS just to ask you this question: I make prints two ways, with an Epson R3000 printer and through MPIX Pro. 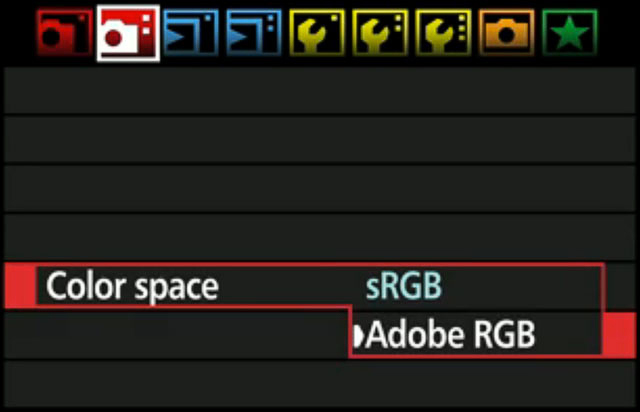 The Epson Printer uses Adobe RGB and MPIX Pro uses sRGB. According to your advice, I should set my camera settings to Adobe RGB (RAW) and do my photo editing in Adobe RGB. I have a problem, however, upon export from LR, when I use the sRGB export setting, the colors are not converted well at all, as you say. They are dull. How do I get my sRGB files to look as much as possible like the Adobe RGB files in LR and Photoshop? Also, how can I easily get 300 photos to look as good in sRGB without having to edit each photo? Thanks. Hi, good article. But I am not sure to understand one thing. 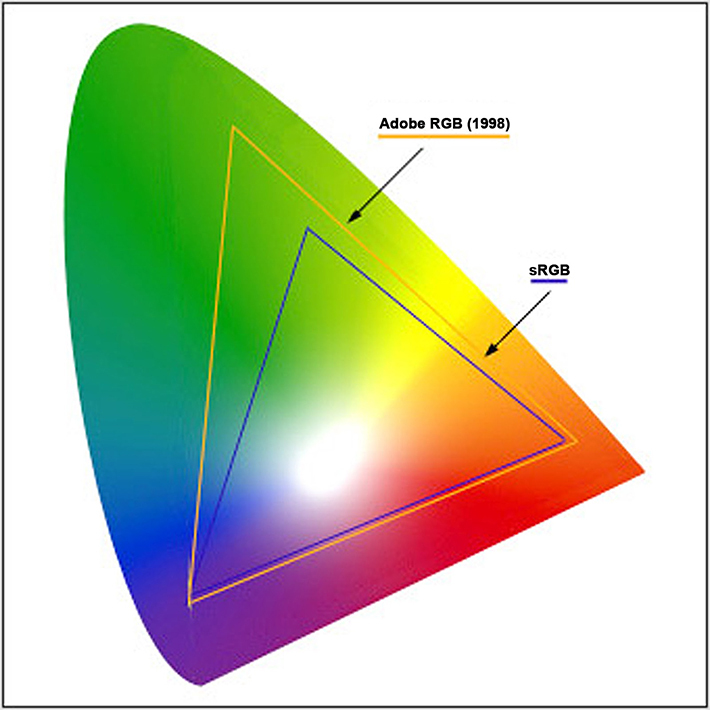 You are supposedly to be able to convert from Adobe RGB to sRGB, but how do you do that preserving the "Adobe RGB" vibrancy? How did you create the photos showing "Adobe RGB Converted / Original Shot" if the photo is sRGB and the "Original Shot" has more vibrancy? Thanks! Thanks for this! I work in video and am trying to wrap my head around color spaces to get deeper into color grading. Sounds like I'm fine sticking to sRGB basically all the time... for now. However, I notice in software like After Effects, there are a TON of color profiles to choose from. I don't know if there's a difference whether you're grading towards projecting onto a movie screen versus web, or if it actually has more to do with adapting to various monitors as you work, or what. Still have much learning to do! sRGB/Adobe SRGB 1998 setting in the camera only affects the jpg file and the image displayed on the camera's LCD. If I understand correctly, Lightroom is not defining data based on color space. The conversion of the raw file into a color space happens in software such as Photo Shop. As such, you can convert one RAW file into any and all color spaces that are definable in the software (Photo Shop). Excellent article. I have a question. 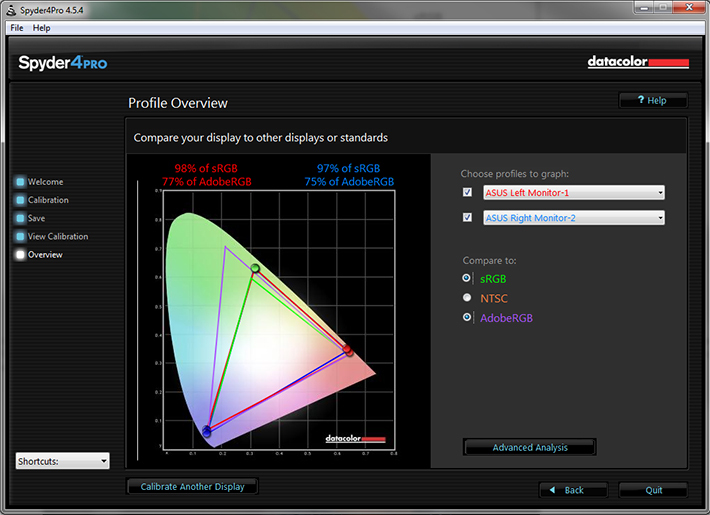 I have Eizo monitor (AdobeRGB/sRGB I can choose color space), I have Epson SC-P600 printer, I have Colormunki calibrator. I'm going to print my photos. Which color space should I set in my monitor and in software before I start calibration. Previously I used sRGB on my monitor and simpler calibrator.